New Zealand bounced back from last week’s shock defeat to Ireland by hammering Italy 68-10 in Rome. The All Blacks - showing 12 changes to the team stunned 40-29 in Chicago last weekend - scored 10 tries as they took out their frustration on the Azzurri in front of 70,000 at the Stadio Olimpico. 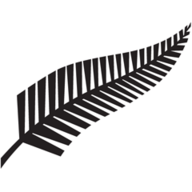 Malakai Fekitoa (2), Charlie Faumuina, Patrick Tuipulotu, Israel Dagg, Wyatt Crockett, Steven Luatua, Elliot Dixon, debutant Rieko Ioane and Waisake Naholo all crossed, with Aaron Cruden hitting seven conversions and Lima Sopoaga two. 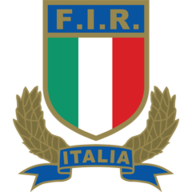 Italy's Carlo Canna hit an early penalty before Tommaso Boni - sprinting in from 50m out - claimed a second-half consolation try converted by Tommaso Allan. New Zealand scored five tries in the first half, with Fekitoa touching down in the fourth minute after good work from Cruden and Dagg, Cruden converting. Canna cut the deficit shortly after with a penalty to make it 7-3. Faumuina extended the lead in the 15th minute and Tuipulotu barged his way over five minutes later, with Dagg - sprinting home under the posts from the 22 - and Crockett also touching down before the break as Cruden did not miss from the tee. Luatua continued the scoring four minutes into the second half after a superb 40m run from Elliot Dixon. Fekitoa ran in from 20m from Crockett's pass to claim his second and flanker Dixon got his first Test try when he picked up a loose ball and dived over in the left-hand corner. Ioane and Naholo also crossed and Sopoaga took over kicking duties from Cruden with two successful conversions. New Zealand will try to avenge last week's defeat to the Irish when they meet them again next Saturday - this time in Dublin - a match you can see live on Sky Sports.